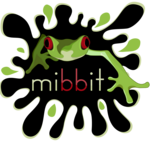 Security - Unlike Java chat applets which require not only a download of a file to your machine, but also requires 'trusted' access to your machine, Mibbit provides enhanced security utilizing the web browser's built-in security features over which you have full control. Portability - You can use Mibbit from your laptop, iPhone, a cyber cafe and mobile devices. This page was last modified on 24 January 2015, at 12:19.